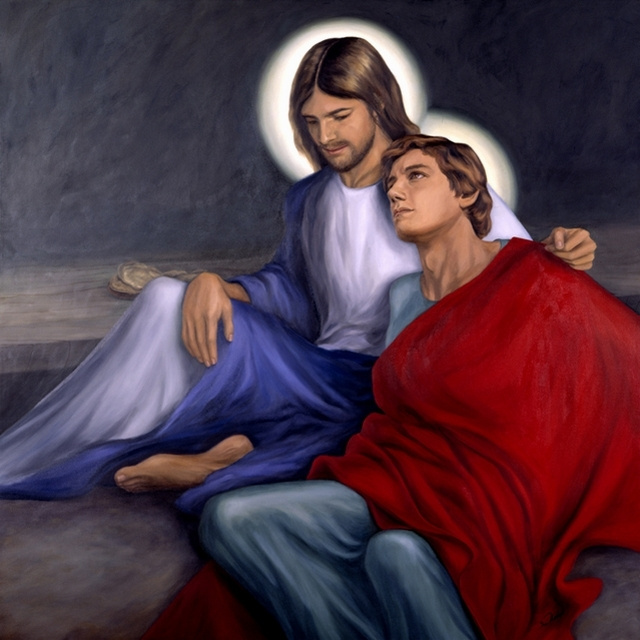 In painting ‘The Beloved’, I asked St. John to be my patron for the work of evangelizing through my art. The evangelist, St. John addressed himself as the beloved disciple. Being the beloved is the cause which makes being the evangelist the effect. And so I realize that in painting, unless I listen to God in prayer and begin to know His love, I have nothing worthy to say to anyone. Experiencing the love Christ has for us who are no less beloved, makes us hunger to taste and know Him in a spiritual yet tangible way. In chapter six of the gospel according to John, he points us to this spiritual and tangible Holy Communion. It is in Jesus, the Bread of Life, who comes to us as real food that we are most beloved.